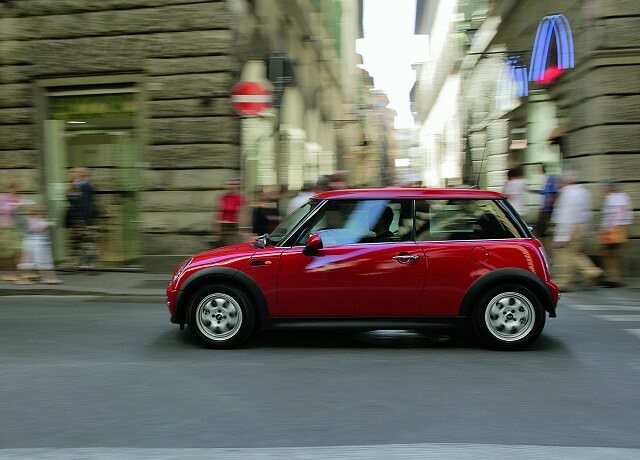 It’s incredible to think that this ‘new’ MINI has been around for well over a decade, the BMW-owned brand making a huge success of the small car. It’s incredible to think that this ‘new’ MINI has been around for well over a decade, the BMW-owned brand making a huge success of the small car. The brand might have gone on to grow into estate cars, pseudo-SUVs and even coupés, but the earliest models were all three-door hatchbacks. An impeccable image and retro-inspired interiors mixed with keen pricing and a fun driving experience to make the MINI one of the must-have cars of the decade. That popularity means there’s plenty of used choice out there, to suit almost every budget. Before MINI went mad with derivatives the range consisted of a pair of engine options based around a single three-door hatchback body style. Great looks, BMW-levels of build quality and an interior that’s either retro-cool, or shameless pastiche (depending on your opinion), do stand out from the mainstream norm as fun and interesting. Introduced in either One or Cooper guise, the One made do with just 90hp from its 1.6-litre engine. The Cooper gained a 115hp version of the same unit. Along with its racier pace came sportier looks, the Cooper usually featuring bonnet stripes, a contrasting roof colour and bigger alloy wheels. Inside, it gained equipment over the entry-level One too, though no MINI is poorly specified. Plentiful opportunity for personalisation means you will rarely find two MINIs specified the same. MINI made that personalisation easier by offering options packs. An even quicker Cooper S joined the range shortly after the BMW MINI was introduced, it gaining a supercharger on the 1.6-litre engine boosting power to 163hp and creating something of a giant-killing hot hatch. A 75hp 1.4 turbodiesel was also offered later in the product run, badged MINI One D and offering 4.8 litres/100km potential fuel consumption. All models are fun to drive, with a sharp chassis and quick, accurate steering, though the sportier cars lose some ride comfort thanks to their more focused suspension. None are particularly practical, the MINI swelling in size proportionally outside, but still very tight on space inside. Buyers are aware of this though, the MINI not a car bought with practicality in mind; its raison-d’être more fun and image than anything else. Tempting as the mighty Cooper S is the standard Cooper isn’t likely to disappoint, and it’s more easily found in the classifieds. The 1.6-litre engine offers 115hp, which is enough to help the Cooper reach 1ookm/h in 9.2 seconds, the fine steering and tidy handling making it a very entertaining drive. Even after 10 years of familiarity the MINI remains a very appealing choice, being fun to drive, good looking and feeling solidly built. Its fashionable image means it commands a sizeable premium over mainstream alternatives in the used car classifieds, but then so too will it hold its value should you decide to sell it. Not practical, but good fun, and with an image that other manufacturers wish they could offer.